Sintering is a process for making articles from its base material in powder .They are made by mixing elemental or alloy powders and compacting the mixture in a die, the resultant shapes are then sintered or heated in a controlled atmosphere furnace to bond the particles. Sintering is traditionally used for manufacturing ceramic objects and after that it is used for filtration application. Due to sintering process, particles join with each other and form a porous structure which allow any fluid , air or gas to pass through without disturbing its structure. This structure is robust in nature to handle particle above stipulated micron rating. Such elements are back washed some time for cleaning purpose to remove deposited particle load. 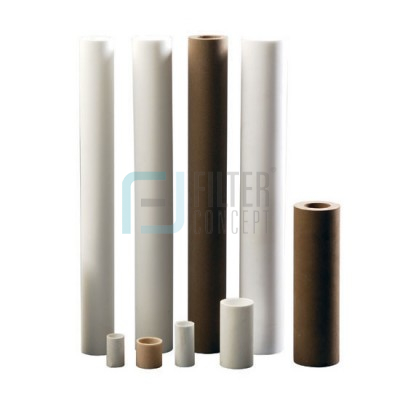 These sintered solid filters are able to withstand very high differential pressure across the filters.